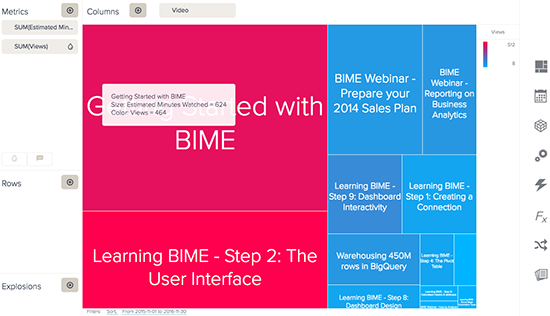 In BIME, you can pull data directly from your Youtube account. This includes viewers, watch time, comments, favorites, and several others. This section will instruct you on how to create a new Youtube connection. If you have already connected to Youtube, but are having trouble importing your data, see Youtube performance considerations. 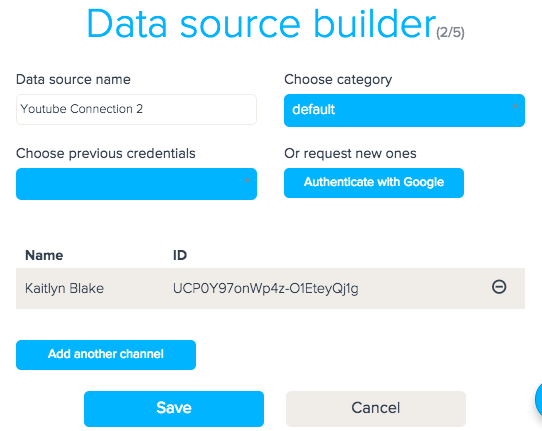 In the Data sources library, click + to add a new connection. Select the Youtube icon ( ). Enter a name and category for your connection. To connect to your account, click Authenticate with Google. You will automatically be redirected to a Google sign-in page. Your channel name and ID will appear automatically. To add an additional channel click Add another channel. You cannot edit storage or schema options for this connection. The data schema will be the same in BIME as in Youtube. For more information on Youtube's metrics and attributes see, Youtube analytics and reporting APIs. 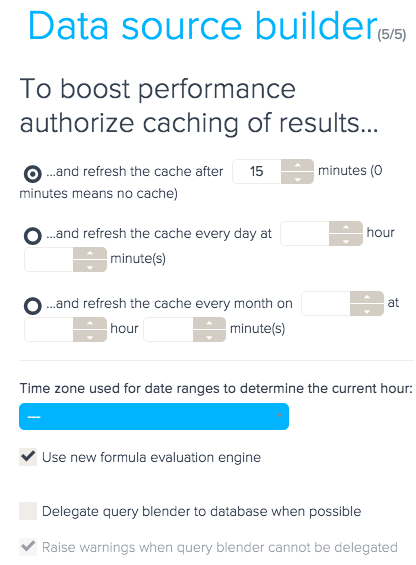 Click the Advanced tab to edit cache, time zone, and Query Blender options. Below is an example report of the top 15 videos with the most Estimated Minutes Watched color-encoded by the number of Views. This section discusses some performance issues you should consider when connecting to Youtube. When building a query, some metrics and attributes cannot be added together and will become unavailable. 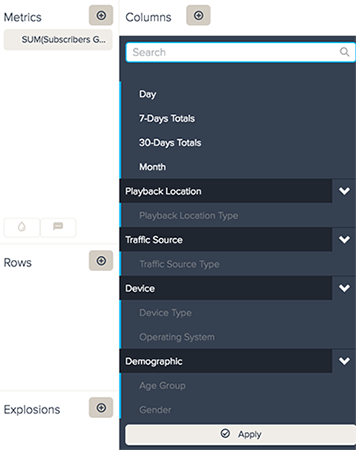 For example, if you select the metric Subscribers Lost, the Device Type and Operating System attributes will be grayed out. Your Youtube account contains large amounts of data. You have created or refreshed several connections to Youtube during a short time period. Each time you import data, including when you first authenticate your account, BIME makes a direct call to Youtube. Making several calls in a short timespan can reduce performance. You have exceeded the Youtube quota.